Only an idiot would neglect to wear safety glasses at work or at the range. Despite what your younger self may have once thought, there’s nothing cool about losing an eye or suffering an injury just for the sake of sticking it to the man. The man doesn’t care if you get hurt, anyway. The best safety glasses are designed to ensure you suffer no injuries, no life-changing disasters, and keep everything as far away from the most delicate part of your body as possible. Whether you work in construction or enjoy hobbies where your eyes could be in danger if you’re not fully protected, safety glasses are must-have gear to ensure you don’t end up doing your best pirate impression. We know they don’t look as cool as you might like, but it’s not about looking cool. It’s about staying safe, which we think is the most important thing, you can worry about your style at the weekend. The leader of the pack for the best safety glasses is the awesome DEWALT Concealer Clear Anti Fog Dual Mode Safety Goggles. Sure, this is a bit of a mouthful, but while it may take your whole shift to explain what they are and where they come from, they’re guaranteed to keep you safe on the factory floor. These safety goggles come with an elasticated head strap to keep them firmly in place, and tough coating protects the lens from scratches, ensuring clear vision. The anti-fog lens design also adds to this clarity and keeps you focused on whatever you’re doing regardless of steam, smoke, or debris. The dual ventilation channels and injected rubber that conforms to your face shape ensure a proper, comfortable fit and also makes them easy to wear all day long. 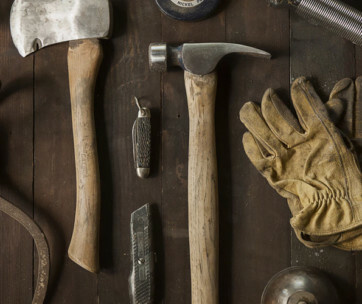 For labor-intensive projects, this is crucial for being as efficient as possible and means you’ll get the job done before you even realize it. 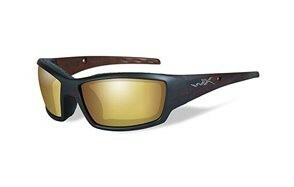 Make sure you also check our guide to the best sunglasses for fishing. The NoCry Safety Glasses are a durable and reliable protective option designed to cover as much of your eye-region as possible. The lenses boast a polycarbonate wraparound construction which keeps your eyes safe from both direct and peripheral threats. Along with this, the lenses block out between 90% – 100% of UV radiation, which doesn’t mean you should wear these as sunglasses, but is useful if you’re working outside. While they don’t have the moldable rubber of the DEWALT, you can still customize them to suit your face shape. The side and nose pieces are adjustable to give you the ideal fit and ensures a snug and secure sitting during your project. You’ll also have versatile environmental protection from fog, dust, and glare, meaning you can use these glasses in a variety of conditions with no need to change them for more suitable glasses. Besides keeping your eyes safe at work, they’re also great for protecting you during sports and exercise. Our best value pick is the 3M Virtua CCS Protective Eyewear which comes with a comfortable, lightweight frame that may not look as sturdy as others, but is bound to surprise you. While they are not wraparound glasses, they come with a Cord Control System (if you were wondering what CCS stands for) and also allow you to attach ear plugs for machine-heavy jobs and keep your ears safe along with your eyes. The foam-lined gasket ensures comfort, which is ideal for all-day wear, and this also comes with breathable airflow vents. Unlike other glasses, these are removable and not glued directly to the glasses so you can easily replace them if needed. They are long-lasting and capable of handling a variety of professions and other casual ventures. 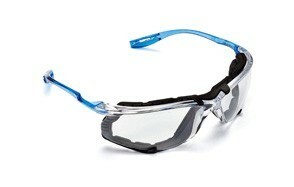 They prevent dust from getting in your eyes and can withstand direct hits from wayward debris. At just over $7, this is a small price to pay for keeping your eyesight and proves highly versatile no matter what you do. Our handy guide to the best sunglasses for skiing features more great products like this. A commanding pair, the DEWALT Dominator Safety Glasses are a mighty set which offers excellent coverage through a full-frame lens and thick, rugged frames which ensures longevity and reliability whatever you do. The arms are also thick, while the rubber-tipped temples keep the glasses secure and eliminate the risk of injury, and its integrated rubber nosepiece allows all-day wear without abrasions or discomfort. Depending on your needs, they’re available with a variety of different lens colors to make your project simple and straightforward. Whichever lens you choose, you’ll get the clear vision that won’t hinder your work regardless of what you’re operating. Even if you don’t work in construction, they still make excellent protective glasses for a variety of activities. The Dominator is a modern design complete with high impact protection, these are a fantastic, trustworthy option more than likely to stand up to whatever disasters could occur on the job. With rubber-tipped and telescoping temples, the DEWALT Clear Anti-Fog Protective Safety Glasses are a tough but comfortable option for the factory or similarly hazardous environments. The arms are adjustable to suit you and will fit snugly over hoods without the risk of falling off. The polycarbonate lens offers remarkable impact resistance from sudden and unexpected sparks or ricochets. These lenses also provide 99.9% UV protection to make your outdoor work entirely worry-free, so you can get on with the job and focus on the task at hand. The anti-fog system supplies a further layer of functionality and practicality and saves you worrying about loss of vision during your project. Besides their adjustability, you can also tilt them at the hinges to give you further control over and saves you taking them off when you don’t need to. 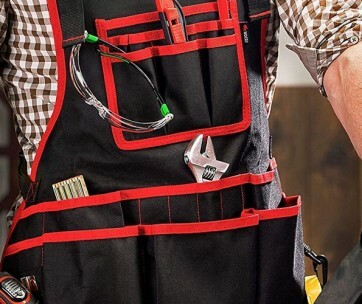 This eliminates much of the hassle associated with safety glasses and ensures efficient work which with these glasses may not even feel like work. Be sure to also check out our list of the best aviator sunglasses for more great items like this. The Radians Revelation Protective Shooting Glasses are a – well – revelation for ensuring protection in hazardous situations. They’re slim but sturdy, and don’t just meet but exceeds all necessary safety requirements, while the polycarbonate lens is impact resistant for whatever you may encounter. This lens protects from 99.9% of UV protection and is also designed to keep your eyes safe from threatening debris. The black frame is bold and easy to identify and contrasts with whichever lens you select. There’s also four-position telescoping temples for adaptability, while five-position ratchet means these are perfect for fitting any-sized head and saves you swapping out for other glasses which wastes precious time and causes kit clutter. For outdoor work and activities, these are an excellent pair of glasses that will protect from glare as much as they will from debris. However, while relatively sturdy, they maybe won’t last as long as other glasses if worn every day. If you use them a few times a week at most, though, these should still last you long enough until you fancy an upgrade. The 3M Nuvo Reader Protective Eyewear is unlike any other safety glasses we’ve selected in that they won’t just keep your eyes safe, they’ll enhance your vision like you’d expect regular eyeglasses. This is made possible with magnifying diopters which range from +1.5 – 2.5 on most models to give you that extra edge during projects and preventing the potential for eye strain. As for the style, they don’t immediately strike us as safety glasses but instead more like something you’d see on the trendiest dudes in town. This doesn’t detract from how effective they are, though, and the polycarbonate lens is tough and impact resistant to offer peace of mind. The integral brow bar combined with the side shield gives you even greater protection and unlike other glasses, they don’t pinch parts of the nose and head that can cause discomfort and affect concentration. Durable and stylish, anyone who ever told you it’s impossible to look good on the job has never seen these glasses before. Find more great products like this by checking out our guide to the best Gucci sunglasses. A straightforward, no-nonsense product, the Carhartt Carbondale Safety Glasses get right to the point with no need for any frills. That doesn’t mean they’re too simple to be effective, though, and still, come with dual-injected rubber along the temples to ensure comfort for all-day wear. This is complemented with a flexible rubber nosepiece that’s ideal for a variety of activities and makes them perfect for workplace wear, shooting galleries, or cycling and racquetball. The scratch-resistant lens is crafted from polycarbonate (as you’d expect by now), and also offers protection from UVA/B/C rays, which gives them the edge over other glasses which may provide as much protection. For the safety heads among you (which we expect to be everybody), they meet the standard ANSI and CAN/CSA requirements, so you know you’re purchasing a product you can trust. Overall, these are a pair of safety glasses which don’t need a host of different features, all they need to do is the job they’re designed for, and we think they do that with ease. These Smith & Wesson Harrier Interchangeable Shooting Glasses don’t boast the safety aspect of the DEWALT or NoCry options, but they’re still a highly trustworthy option whether you want to use them for work or play. For one, they look cool, which isn’t a necessity when operating heavy machinery but can add to your allure when paintballing or at the shooting range. It’s not all about style though, and these glasses are practical and comfortable, designed with non-slip rubber on both the nose piece and ear stems to keep them secure in high-pressure situations. There’s also the much-loved full peripheral coverage rated to ANSI Z87+ standards, making them suitable for a variety of situations. Our favorite feature is the interchangeable lens which is easy to do with just one-touch and gives you the option to adapt depending on your environment. The lenses include a clear mirror, smoke mirror, Vermillion, and amber, so you’ll never struggle for vision. To keep them safe, a hard zippered storage case comes with them for easy transportation. Don’t forget to also check our guide to the best hiking sunglasses. If you’re focused purely on protective eyewear for the potentially dangerous and often unpredictable yard, the ReadyMax SoundShield Construction Safety Glasses are a fine, popular, and almost-luxury option. They serve as an upgrade to your standard glasses and have proven highly in-demand among construction workers across the country, so much so they seem to sell out faster than you can shout Timber. The SoundShield technology is ideal for keeping your ears as safe as your eyes, with retractable ear plugs that won’t get in the way and cause near-misses when working with heavy machinery. The anti-fog lens, which also protects from 99% of UV rays, gives you clarity even when working in dust-filled environments and keeps your vision as sharp as it can be. As for the frames, they are thick and sturdy, giving you peace of mind that this is more than a sound investment, and should last you through many projects and many years. However, as reliable as they are, they aren’t as comfortable as others, which could be an issue if you need to wear your glasses all day. Finally, our premium pick from a list of thoroughly awesome safety glasses is the Wiley X Tide Polarized Hunting Safety Glasses which, as the name suggests, offers polarized lenses to reflect glare and enhance visibility, which in hunting, working, and sporting environments is always something to strive for. Along with this visibility, there’s also protection from wind debris, which may sound cumbersome, but is, in fact, the complete opposite. The style is also something that – while some may not think it matters – actually enhances the wearing experience. This puts them on a level higher than other glasses, which are mainly worn merely as a means to an end regardless of how they look. The strap band hinge fits comfortably against the temple and offers a secure fit which gives you the confidence they will last throughout intense exercise or labor-intensive days at work. They are lightweight, reliable, and provide the necessary protection while also offering excellent clarity to ensure efficiency and superb results whether you wear them on the job or in your hobby downtime. You may also like to check our guide to the best gaming glasses for more great eyewear. Before deciding on your favorite pair of safety glasses, it’s smart to know exactly what you need to look for to find the best pair for you. Here are the key features to think about before buying. UV Protection - If you work outside or will use your glasses for outdoor activities such as cycling or hunting, then UV protection is a must. Decent safety glasses will provide at least 90% UV protection, but the best pairs will offer as much as 99.9%. Typically, you’ll find glasses that offer only UVA protection, but there are models which provide UVB and UVC protection. Comfort - Those of you who will wear your glasses for long stretches of time will need to think about the comfort level. If your glasses are too tight, they will affect your concentration and efficiency, and you may need to remove them, which puts you at risk. For optimum comfort, find glasses that have rubber temple and nose pieces, which will reduce strain on your head and bridge. Glasses which offer earplugs are also useful as they can stop headaches and protect your ears from noise-polluted areas. You also won’t have to endure your coworkers' often dull conversation either, which is always a bonus. Adjustability - Not all safety glasses come with adjustable or tiltable features, but those that do will transform your experience like you never thought possible. An adjustable pair of safety glasses give you the chance to maximize their effectiveness for different head sizes while also allowing you to pull the lenses up without taking them off, preventing you from losing them. If possible, you can also look at glasses with changeable lenses for different environments, which saves you buying multiple pairs that will bulk up your bag. These lenses are often easy to change and will save you from rooting around in your car or van or risking leaving them at home. They also ensure you’ll always be prepared whatever the weather and conditions. Peripheral Coverage - While safety glasses are primarily designed to protect your eyes from direct debris and dust, peripheral coverage is also a hugely important feature. This saves your eyes from any ricocheting materials and puts your mind at ease whatever you’re working on. It doesn’t just protect your eyes from what you are working on, but also protects them from what those around you may be working on. If someone makes a mistake, you don’t want to find out about it because you have insufficient protection, so peripheral coverage is a must. Impact Resistance - Polycarbonate lenses are the best way to protect your eyes from direct hits through impact resistance. This is a material which doesn’t shatter as glasses does, and therefore won’t spread shards into your eyes should you get stuck in the lens. Impact resistance is the difference between blindness and sight, and because you’re often unable to react when something goes wrong, this could be what prevents you from suffering injury. If you find a pair of safety glasses which look good but don’t use polycarbonate lenses, we’d advise you to avoid them, as they may not be as safe as standard materials. When searching out the best safety glasses for you, your task may be made much easier if you know what the top certification and classifications are that separate the good from the bad (and the less said about the ugly, the better). ANSI Z87.1 - ANSI stands for American National Safety Institute (which is already making us feel better about the acronyms), which was established in 1918 and is a non-profit organization that develops safety standards for a variety of products, and eyewear is just one of them. 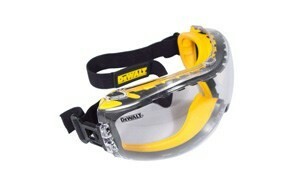 The Z87.1 you might see on your safety glasses refers to their compliance which such ANSI safety requirements. If you do not see this code following on your glasses, it’s likely that they are not up to scratch regarding safety standards as determined by ANSI. this could mean they are fakes, and therefore should be avoided. ISEA Z87.1 - Along with ANSI, ISEA is a similar and often concurrent body you find together with the ANSI symbol and code. Because of their similarities, you can expect the same standards with either ANSI or ISEA and so shouldn’t have any concerns regarding their reliability. CSA Z94.3 - Despite having a different name, CSA is very much the same as ANSI, only it originated in Canada and stands for the Canadian Standards Association. In North America, where goods are traded across borders with relative ease, you’re likely to find this certification as often as you would find ANSI. Due to the different countries having different safety requirements, the products must pass standards tests to be sold there. While a product may meet the ANSI requirements, it may not meet the CSA requirements (and vice versa). These standards look at protection, impact resistance, and vulnerable areas to ensure the workers is not in danger when wearing the product. EN 166 - This is the European standard classification and is found across the European Union. It is solely focused on the safety of eyewear and anything worn professionally across Europe must meet these standards if they are to be worn, otherwise, the company could be liable for negligence. EN 166 covers several performance levels for the eyewear to ensure there is no immediate danger when in use from things such as debris or even UV rays. The body will also look at anti-misting, anti-scratch, and impact level and mark accordingly on the lens how well it performs in these areas. 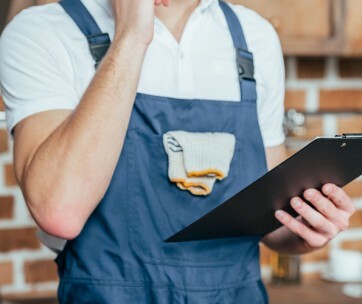 These codes and certifications may confuse at first glance, but once you understand that they merely focus on different governmental safety standards, it’s much easier to recognize what you need to look for. If a product is sold in your country, make sure you can identify which certifications to look for to ensure you’re purchasing a safe and reliable product. Q: How do I stop my safety glasses from fogging up? A: We know how irritating fogging up can be when you’re during work, so to prevent this, you can do several things to keep your vision clear without having to take a break to clear the fog. Use a bar of soap or shaving cream on the lens and buff. While this won’t eliminate fogging altogether, you’ll notice that it takes your glasses much longer to fog, so you can work more efficiently. This is perhaps the most simple solution, but not everybody knows about them. This lasts longer than the other option and also isn’t as messy, but it may be more expensive. To prevent fogging completely, purchase a pair of goggles that come with built-in ventilation which you can find around the gasket or on the sides. Q: Are safety glasses bad for your eyes? A: While people used to believe safety glasses were a hindrance (which may explain why so many choose not to wear them), they do not damage your eyesight at all. When wearing them all day, though, you risk headaches and fatigue, which can cause issues later on. To be on the safe side, remove them when they are not required and take breaks as often as possible. Q: What do safety glasses protect you from? A: Work glasses will protect you from dust, debris, and UV rays. While it is sometimes a pain to wear them, especially if they aren’t comfortable or you know you’re unlikely (but not certain) to encounter any problems, the one time you don’t wear your glasses will be the day something goes wrong. Likewise, they can also protect you during sports and offer wind resistance and protection from hurtling balls when playing sports such as squash or racquetball. While these aren’t as dangerous as debris on construction sites, they can leave a nasty black eye you may not feel like explaining. You don’t want to experience a life-changing disaster, so swallow your pride, get smart, and just wear your safety glasses. We’re convinced you won’t regret it for a second, and you don’t want to become a statistic, do you?